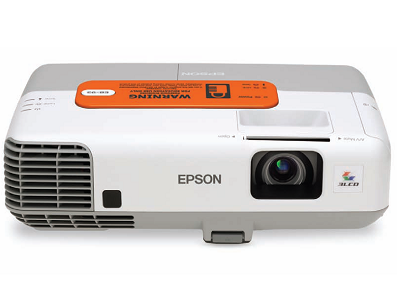 Make education brighter with the Epson EB-93e, which gives a super-clear picture, has smart features to enhance lessons and is easy to set up. Project a perfect XGA image and keep the lights on so students can take notes; Epson’s 3LCD technology and a White and Colour Light Output of 1500 lumens (switchable to 2400 lumens) deliver superb clarity in all conditions. The EB-93e’s useful features can make lessons more effective. The powerful 16W integrated speaker helps your students hear clearly. Share 3D objects or science experiments on the big screen by plugging in Epson’s ELP-DC06 document camera. You can also share pictures with the class by projecting directly from your USB drive, camera or portable hard drive using the EasyMP slideshow feature. Whatever your classroom layout, installing the EB-93e is straightforward. Even if the projector is at an angle to the screen, you can quickly align the picture using automatic vertical and manual horizontal keystone correction. And for desktop use, the projector’s pull-out foot supports a tilt angle of up to 16 degrees. Easily control and monitor your projector fleet using Epson’s EasyMP advanced networking features. Broadcast image and sound over your network via the LAN input. Save time and hassle by adjusting settings, such as projector on / off times, from a single point on your network.